The early 1900s saw a flood of European immigrants in the United States, each of them looking to assert their ancestry — which created a strong demand for thatch-effect roofs. This thatch effect is today often associated with the homes seen in Lord of the Rings. A Lord of the Rings house is one that features wood shingles that created the thatched look in an organic, rustic and elegant fashion. The Lord of the Rings house appearance includes a cottage roof that offers a humble and provincial charm that is difficult to capture through other home features. At Custom Shingles, we can help you build your own Lord of the Rings house through installation of a wood shingle roof that creates the thatched effect. Contact us today about how to build a Lord of the Rings-style house or to request a quote. At Custom Shingles, we use our artisan skills to create English cottage roof designs that look much like the Lord of the Rings house. We steam-bend our own cedar shingles to fit curved roof surfaces. Steam-bending is an art form that requires precision and perfection for customized fits. It’s an old world skill scarce in the 21st century, but we use this skill to help today’s home achieve a look similar to that of the rounded Lord of the Rings house. Are you ready to make a storybook appearance a reality at your home? 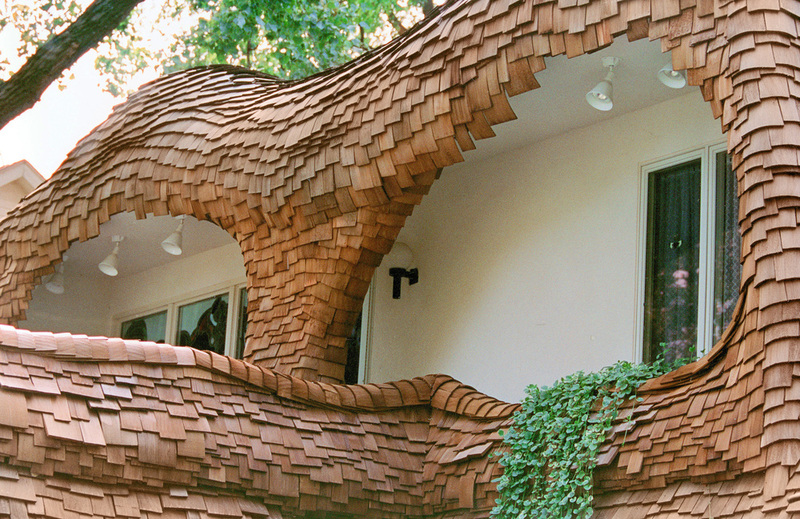 Storybook styles have long served as inspiration to artists, and we can use the Lord of the Rings house storybook style to help your build your own creative, custom roof. It’s important you have an experienced provider of custom shingle designs should you choose a Lord of the Rings house-style roof for your home. At Custom Shingle, we can provide expert roof installation and replacement, and we can also assist with ongoing maintenance and support. We use specialized techniques to wash moss away from thatched roof designs as well as a special treatment that prevents moss buildup from returning. When you want to know how to build a Lord of the Rings-style house, no one can assist with installation and maintenance of the thatch-effect roof like Custom Shingles can. We use mild- to heavy-wave coursing techniques to install waved valleys, rakes and hips as part of your thatch-effect roof. We can help re-roof your existing cottage or provide new installation of a thatch-effect roof that helps you create a look similar to that of the round Lord of the Rings house. This is an art form we’ve spent more than 30 years perfecting. Contact us today to learn more about how to build a Lord of the Rings-style house or to request a quote.